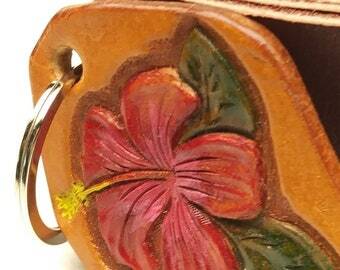 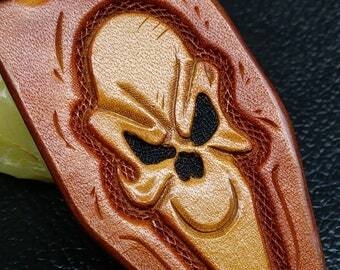 Western keychain or keyring that's handmade from a generous 13 oz. 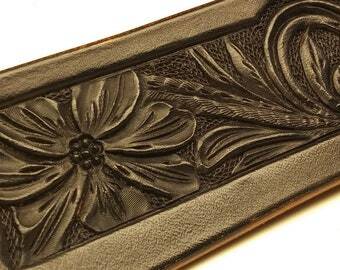 saddle skirting leather. 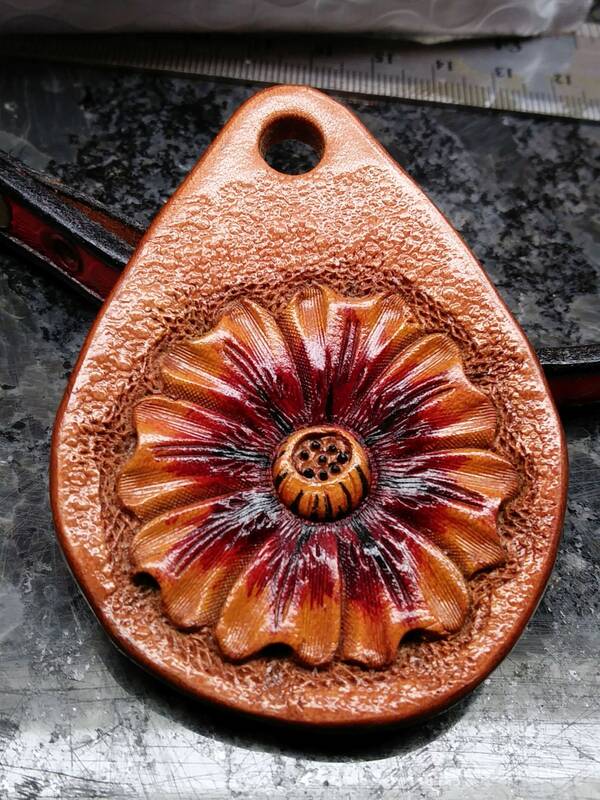 Could be referred to as Boho keyring maybe. 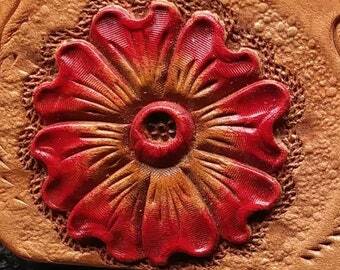 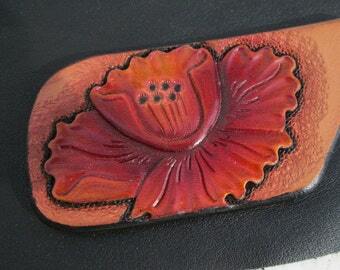 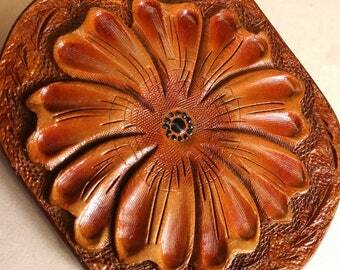 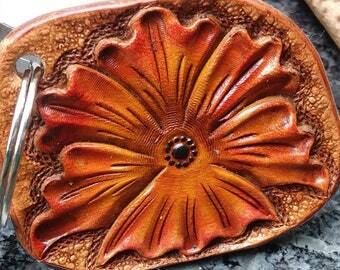 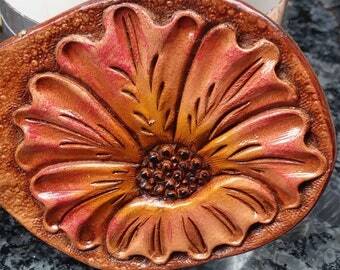 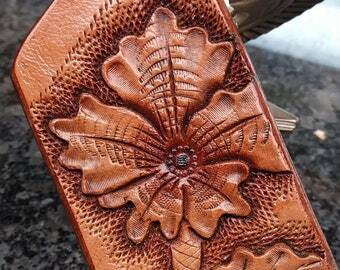 The custom tooling is western style shown by steeper beveling tools and lifted flower petals. It's hand tooled, edges beveled mostly natural in color except for the flower center where I've stroked some red and black stripes into the center and upwards on the petals. 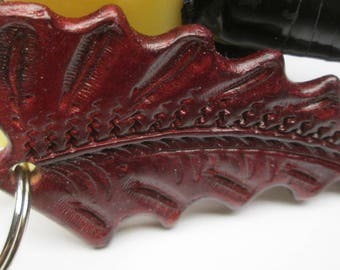 The pistil center has some black stripes and black dotted the pistils. 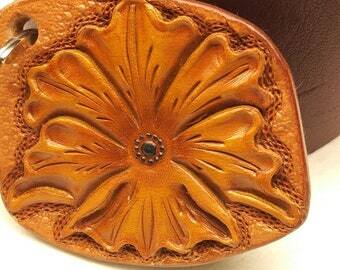 Then burnished the edges to a golden perfection and seal coat with a top finish to lock in years of beauty and service. 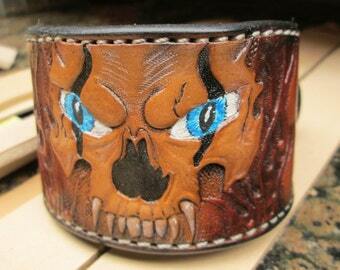 It measures including 1" metal split ring 3.5" by 2" wide.